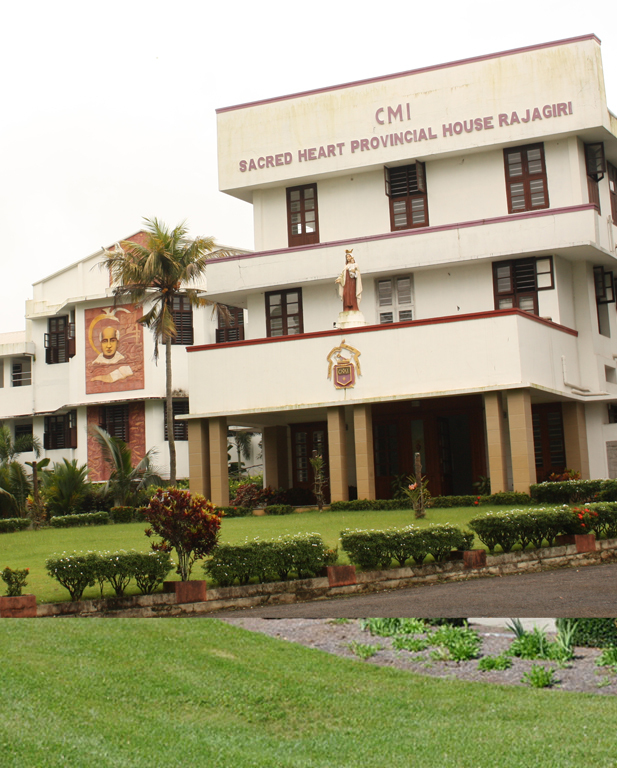 The Province of Sacred Heart of Jesus was established in 1953 along with the Devamatha Province in the north and St. Joseph’s Province in the south. With its headquarters at first at Aluva and from 1959 at Kalamassery, the Sacred Heart Province consisted of the territories under the jurisdiction of the Archdiocese of Ernakulam and the Diocese of Kothamangalam. It has made steady and fast progress ever since its establishment so much, so that 4 provinces of the congregation had been carved out of it. The first of it was St. Paul’s Province, Mysore. From 1962 onwards the Syro-malabar church and it’s jurisdiction were gradually extended beyond Kerala by means of establishment of new mission areas. In 1972, the Holy See entrusted the province the mission region of Bijnor in U.P. This was indeed a land mark in its annals. St. John’s Region, Bijnor was raised in to the status of a vice province in 1991. The mission region of Rajkot was entrusted to the congregation by the Holy See in the year 1972. It became a diocese in 1977. The General Synaxis in 1978 entrusted this mission to the Sacred Heart Province. This was another milestone in the history of the province. By way of implementing the 1990-91 Synaxis decree the Prior general and his Council erected a region in the eastern section of the province on June 1, 1992. It assumed the name Carmel Region. The Prior General with the consent of his council declared St. Xavier’s Region, Rajkot as a vice province with effect from Dec.3, 1993 and declared Carmel Region as a province with effect from February 10, 1994. Mysore, Bijnor and Rajkot which were the part of S.H. Province were declared Provinces in the 35th General Synaxis, 2005. In 2007, some of our members went to Ecuador in South America as missionaries and are rendering their pastoral service in the process of re-evangelizing Ecuador.